Backstage: What memories do you have of the filming here in Bern last year? 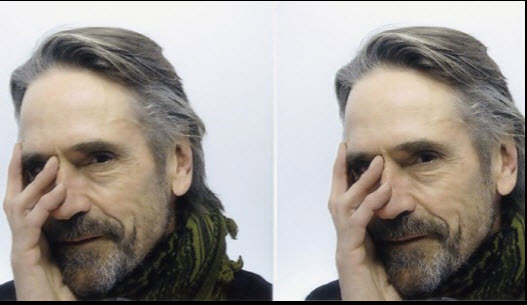 Jeremy Irons: Oh, very happy memories. But short. We were only here for two days. Still, it was wonderful to come to Bern. I knew the city was not before. I also love cities that are located along rivers. I love these big, high bridges here and the architecture of the shops. The arcades are perfect because you despite snow and rain can enjoy the shopping. Yes, I have happy memories of Bern, very happy. And to the people. These certain slowness in Bern and the pleasant pace fascinated me. It stands in stark contrast to London and New York, where everything has to happen very quickly. People there do not have much time for each other. In Bern, this is totally different. Here you have time to chat and that’s very nice. 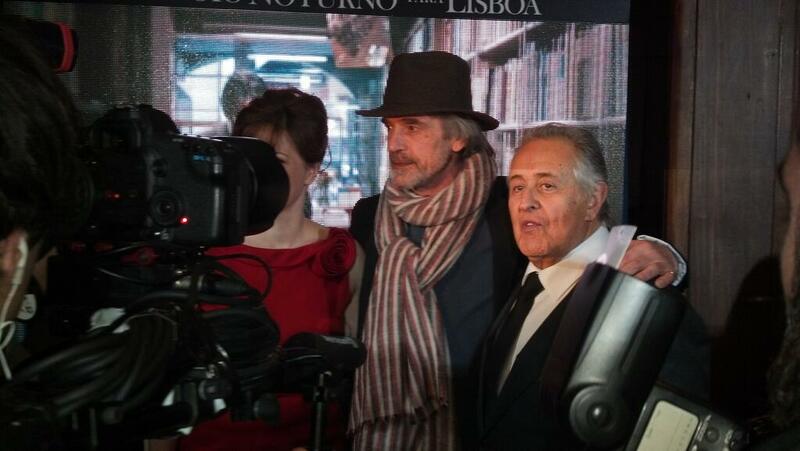 Backstage: Do you have the novel “Night Train to Lisbon”known before the film? 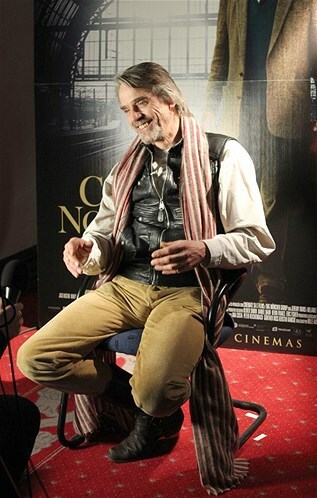 Jeremy: No, I had only heard of the novel, when I was asked to do the film. Then I read the book and loved it. When I was with the book, suddenly people came up to me and said, “This is my favorite book.” That was very strange, because I’ve never heard of it before. It is a very interesting book. It provides the readers questions like “What are you doing with your life? Is that what you want to do? ‘. These are very important and good questions, I think. I thought that it will be a difficult book to be implemented, since a lot of philosophy is contained therein. But Bille (Director August, editor’s note) has created a very concentrated version, I think, captures the spirit of the book. What is your feeling? How did you find it? Backstage: Yes, it is a shortened and condensed version, some characters such as Florence or Fatima are not treated, but that does not make a big difference. The essence of the book is there. Jeremy: Yes, the essence of the book is there, I think so. Jeremy: Yes, there are some things for which there is not enough time in the film. That’s the problem, you understand me? Backstage: Absolutely. The film is a different medium than the book. Jeremy: Exactly, it is a different object. I think it is not in a manner fair to compare the two. But it is legitimate to ask whether the one reflects the essence of the other. It is as if you have a diamond and a picture of the diamond in front of him. There are two completely different subjects, but the painting can give you a feel for the diamond? If it is a good painting, they do so perhaps. Ok, maybe that’s not a good analogy, but you know what I mean, it’s a different medium. Backstage: Are you an amateur philosopher? Jeremy: I think so, but I do not spend much time talking about philosophy, but when I stumble across it, I love it. In this way, I’m a little like Gregorius. What fascinates him about Amadeu’s book is, indeed, that he found written down ideas that were lying somewhere in his head. If we come across a book that in a figurative sense speaks our language, share our unformed thoughts, we feel connected to the book. Someone else has solidified our meandering thoughts. And that makes us naturally clear that we share a common humanity. The same fears and concerns. I love historical biographies and read many biographies, I like it noted that other people have encountered in their lives to the same thoughts and problems as I did in mine. Backstage: What similarities do you have with Gregorius? Jeremy: We have very few similarities. Every time I drive to work, I get on a night train to Lisbon. I find new people. I love to learn more about other people, explore new places and live in different worlds. So I make my living. But what Gregorius and I have in common is that we are the same (laughs). But we think differently. Although I often think of very boring, like Gregorius. Backstage: Do you think that they were the right choice for Gregorius? Jeremy: No, I do not think so. I think we do not see very similar. Gregorius I have a little older, balder and presented uncharismatic. And as an actor I think I have a certain charisma. This I had to suppress it for the role in some ways. Jeremy: Hmm, I think the one he needs a little bit of charisma, because it is also a love story and the audience has to be worth watching Gregorius. I hope that one of the reasons why I got the role, the one was that I feel very comfortable here, to play characters who do very little. So that viewers still see the change in him, even if I do not do great things. Through this production, I was reminded of how much can be achieved with small gestures. As an actor, you have to act sometimes less. Instead of playing a lot more you have to think about and somehow it adds also to the outside, as one is perceived. Years ago, I played in a series called “Brideshead Revisited” with. That figure was similar to Gregorius. Charles was a simple man who meets this wonderful aristocratic family and is absorbed by it. He was all the time the observer bringing the audience into the story, she let him feel the same. And so even Gregory does in this movie. Backstage: You played so Gregorius, although it does not feel right for the character? Jeremy: If I had a choice to make, I would not have chosen. Backstage: Who you would cast in Gregorius? Backstage: How was it working with Bille August? Jeremy: Wonderful. I’ve been using for Bille “House of Spirits” worked many years ago, so I knew him. And I liked it, liked the way he works. He is very accurate, fast and he is very polite. On his sets it’s going to always be very cheerful and so forth. He knows what he wants, unlike many directors who filmed everything going on it until the actors are tired and bored with the scenes. Bille has a good flavour, it matches the illustrations in small ways, so that it all fits together and works. You can trust him, so I enjoy working with him. For me there is a better director. Backstage: And how was it working with the other actors? 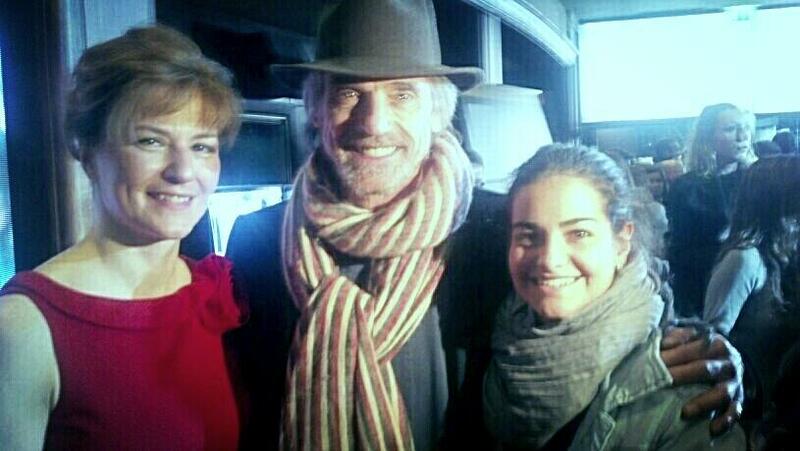 Jeremy: Also wonderful because all the actors are very good. Unfortunately, I have not shot with the youngsters, but my God, we were very lucky, just think of Bruno Ganz. Or Martina Gedeck, an actress I’ve seen in “The Lives of Others” and that impressed me greatly. I met her in Budapest when I was there she made ​​a film with Istvan Szabo (The Door, editor’s note). We spent a little time and I really liked her. As they would then suggested for the part of Mariana, I found this fantastic. Charlotte Rampling, is also a good actress, with whom I had previously been worked. 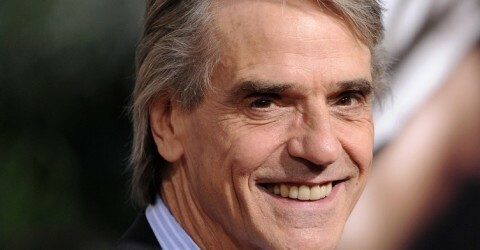 And Portuguese actor, whose name I can not remember just not the one who plays the hotel owner. I love him, we had a lot of fun on set. Lena Olin, another leading actress, with whom I played in “Casanova.” When you work with so many good actors, it is so easy to. It really adds to the enjoyment. They were very happy filming, which is rare, but this shoot was really nice. Jeremy: Absolutely. 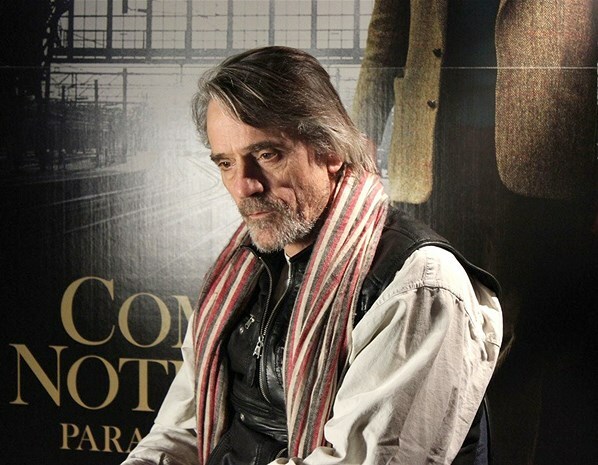 I love Portugal, but I was the last time for the filming of “House of Spirits” there. But this time around. To a completely different part, in the historic centre of Lisbon, which is very crumbly, romantic and simply wonderful We can shoot for this very lucky, it is not always so nice. Backstage: Gregory is a teacher at the Bern Kirchenfeld High School. If you were a teacher, what subject would you teach? Jeremy: Well, I would probably teach drama as this is my job. Strangely, I wish in a way that we would teach all one afternoon a week something. They spend an afternoon, for example, about journalism, or tell about writing. So we could pass our enthusiasm for our work to the children. I think that teachers do a great job with everything they do and how they do it year after year. I think everyone has something in his life that he can pass on to students that to help children gain a better understanding of life. I think this should be something that we offer to the children on a regular basis. Backstage: Your latest TV production is a series called “Borgias”. Do you think the episode is interesting shape for a performer, because the characters have more and longer time for deployment? Jeremy: This is the joy, exactly. I have now shot 30 hours of “The Borgias”, which are about 15 films with the same character. The challenges to the rise in screenplays. It is important to ensure that the books are not simply be a repetition of the events in different ways, but the characters are expanded and share an inconsistency that makes it really interesting too. Because we are all just inconsistent and we behave in our being. Shakespeare, for example, was a poet who brought this issue to their best advantage. Characters in movies are usually more stable, less in books where there are more opportunities for inconsistencies. Inconsistency allows it to display an actor depths and the true reality. There is therefore a great privilege for me to play in this series. Alexander is also a very interesting one, an exceptionally broad man, a great administrator, a man of God, but also a man with enormous sensual appetites. Mix all of these facets together to be able to make me a lot of fun. Backstage: Soon again you come out with a movie, “Beautiful Creatures.” What can we expect? Jeremy: I was told that the movie to “Twilight” genre is one, but I have “Twilight” is not seen, so I can not say exactly. My son Max has (written by “Twilight” author Stephenie Meyer, editor’s note) is also a movie called “The Host”, which also belongs to this genre. In “Beautiful Creatures” I play the father figure Macon Ravenwood. He is described as incubus, but I’m honestly not quite sure what is meant by an incubus (An incubus is a kind of strange dream-eating demon, editor’s note). He is someone who has been, as it was required of him, as it’s just so many people. The story takes place in South Carolina in the United States. Macon is a man who lives alone and is happy here. A gentleman of great style, wit and knowledge. But the story is basically a love story between two young people. Backstage: Christopher Lee confessed in an interview today that he’s releasing a heavy metal album. Backstage: Yes. He is represented with his vocals on it. What about you? Can you imagine for a music album or sing for a musical such as “Les Miserables”? Jeremy: I think my voice is not good enough for that (laughs). The actors in “Les Misérables” all have an excellent voice. But I used to sing a little when I was younger. In musical theater productions. But when I last sang? (Thinks). I made a recording of “My Fair Lady” with Kiri Te Kanawa, but now it was years ago. Today I sing only for friends or pub. Backstage: Will we hear you sing today in Bern at a pub? Jeremy: I’m afraid, but I have not enough time (laughs). Is there really a lot of good music in Bern Local? Backstage: No, unfortunately there are not that many for himself singing, actually practically not a single good place to eat. Jeremy: So not much of nightlife in Bern? I thought so. I remember when I came here for the first time and then someone asked if Bern is a party town. Having been told the following: “However, we all have a good time here. If it’s nice outside, we sit in front of the cafes and drink “and I was like,” Ok, understood “(laughs). 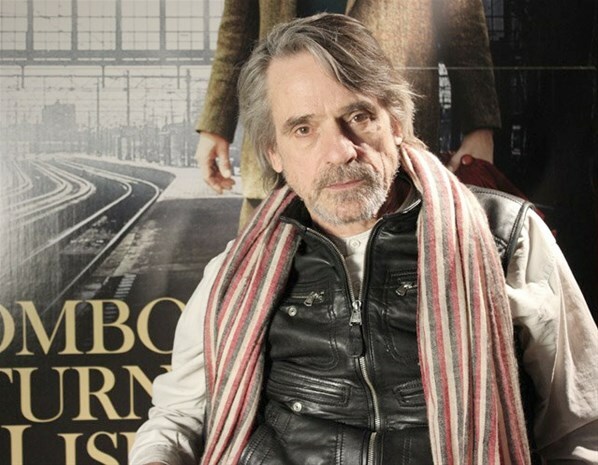 Jeremy Irons was in Bern, Switzerland on Thursday 21 February 2013, for the Swiss premiere of Night Train to Lisbon.